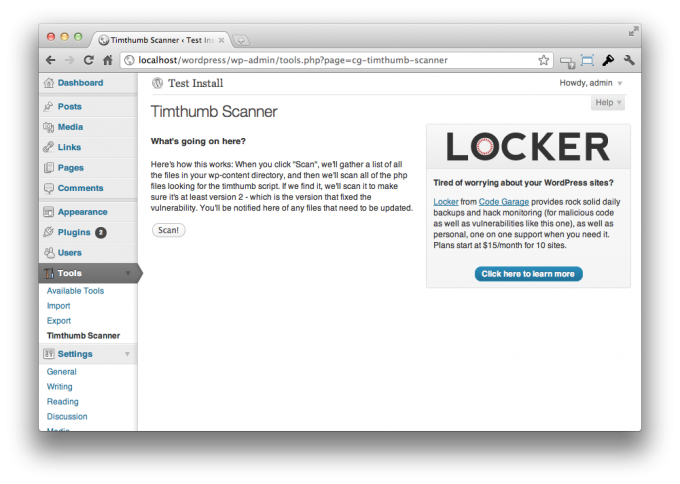 Few days ago, WordPress security vulnerability in timthumb.php reported on one of our blog http://filmnews.bizhat.com. timthumb.php is a script that is used by hundreds of WordPress themes to resize images. 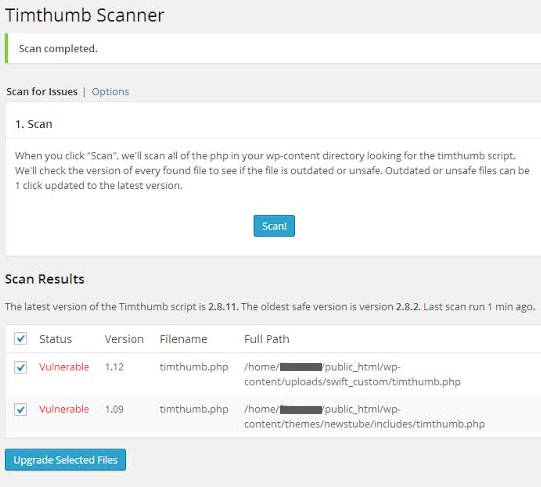 TimThumb Vulnerability Scanner plugin to check if your site is running a vulnerable version of TimThumb. This plugin will scan your entire wp-content folder, including plugins, themes and uploads. 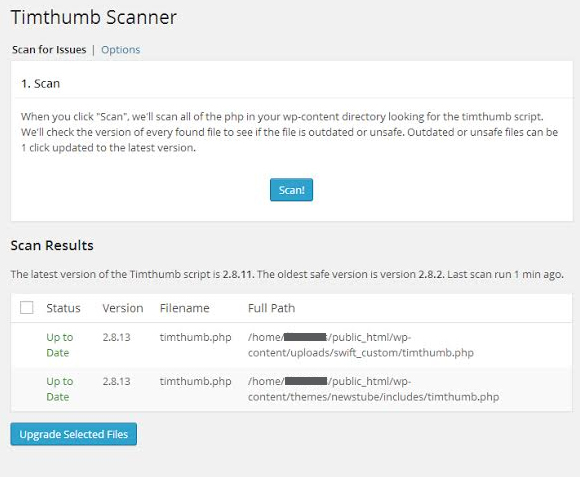 Under Search, type ‘TimThumb Vulnerability Scanner’ and Click Install Now to install the Plugin.